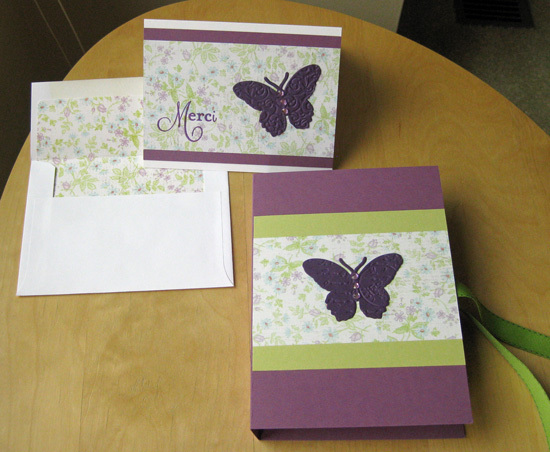 Paper: Plum Pudding solid cardstock from PTI (Papertrey Ink), Spring Moss solid cardstock from PTI; floral paper from JoAnns, Dark purple for butterflies is unknown. Stamps: Merci from one of the Think Big Favorite Sets from PTI. 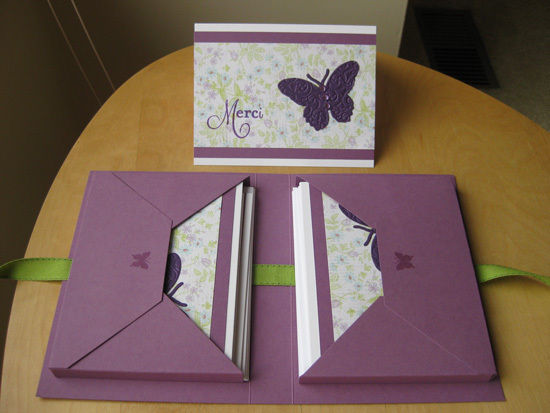 Card Box/Gift Box Template from PTI. The template is called "All Boxed Up"